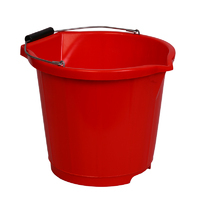 Klipspringer stocks a range of high quality, heavy duty plastic buckets available in a choice of 10 colours. These food grade buckets are available with and without lids, are food-safe and have been manufactured to the highest standards for the food industry. 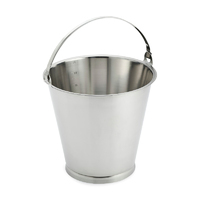 For organisations seeking durable, heavy duty plastic buckets or pails for use within food preparation and other environments, look no further than Klipspringer. 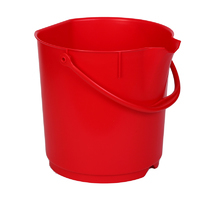 View our full range of plastic buckets below. 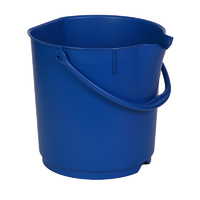 Colour coded hygiene buckets moulded from food contact approved polymers (11 colours) with key features that qualify this product to be No.1 consideration for choice of buckets in high risk production areas and for professional hygiene teams. 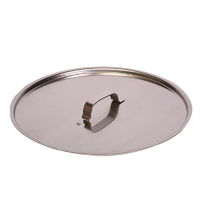 Close fitting and weight carrying lids. 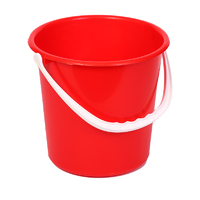 Available in 11 colours to match W4101 production buckets. Food contact approved. 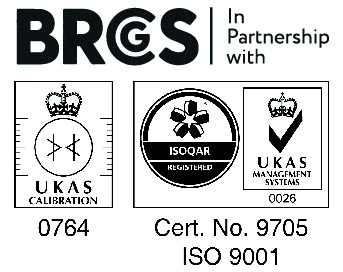 Moulded in strong polypropylene colour coded polymers. Scoop and pour features form part of top rim. Strong stainless steel handle with polypropylene comfort bar for easy carrying. 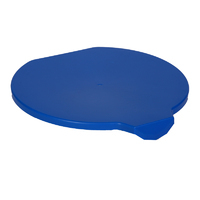 Raised self-draining base rim. 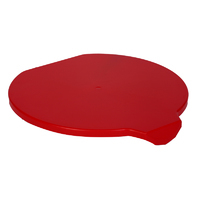 Ideal for fast wash-down regimes where carrying weight may be an issue. Surprisingly resilient, and fitted with comfort contoured plastic loop handle.